He serves as Commissioner of the Company pursuant to the Annual General Meeting of Shareholders resolution on June 5, 2017. Before becoming part of PT Golden Eagle Energy Tbk, he worked as a Consultant at PricewaterhouseCoopers (PWC) Indonesia (2004). He then Joined Rajawali Group (2009) and currently also holds positions as Managing Director of Corporate Affairs and Business Development at PT Rajawali Corpora, Vice President Director of PT Metropolitan Televisindo ("RTV") and President Commissioner and Commissioner of several Rajawali Group companies. 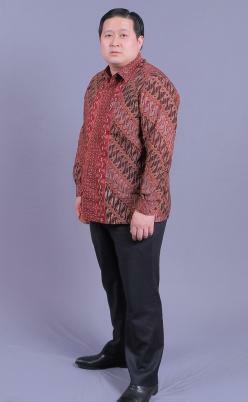 He previously had served position as Business Development Director of Rajawali Televisi ("RTV"). He earned his Bachelor degree in Accounting from Tarumanagara University and an Accountant degree from the University of Indonesia. And he has no affiliation relationship with other members of the Board of Directors, Board of Commissioners, or shareholders.